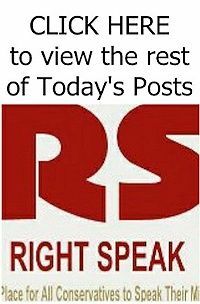 RIGHT SPEAK: Sunday Hundreds Of Migrants Stormed The Border. What Do We Do When It’s Thousands? Sunday Hundreds Of Migrants Stormed The Border. What Do We Do When It’s Thousands? Leftists and mainstream media called Trump's fears about Central American migrants racist. But now they are literally storming the border. After the midterm elections, the going wisdom from the mainstream media was that President Trump had used the foreign caravans making their way from Central America to the United States as a political football. According to this theory, there was no threat or major issue at play, just a racist appeal from the White House. 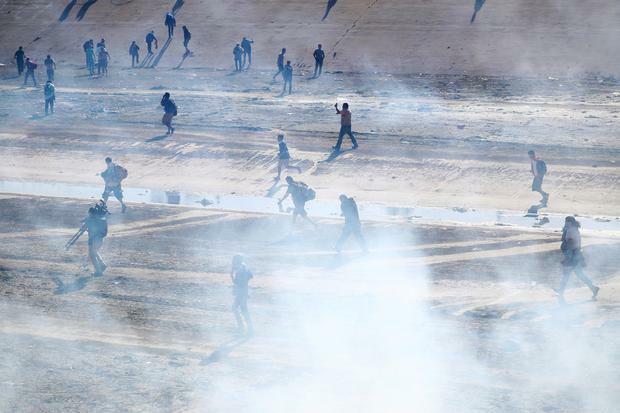 On Sunday, hundreds of migrants attempted to storm the border from Mexico, throwing stones and threatening violence. This time it was hundreds. What happens when it is thousands, or tens of thousands? The tense standoff near San Diego resulted in border officials firing tear gas into the crowd attempting to illegally gain entry into our country. Clearly in such a situation there can be no vetting of those trying to gain entry, so they must be stopped. Yet for months, Democrats and far too many in the media have pretended this scenario was essentially impossible. Well, here we are. No matter where one stands on the issue of immigration — I have argued in these pages that it should be almost unlimited — our nation clearly cannot just open the borders to anyone who chooses to walk through. So, when frustrated migrants, perhaps emboldened by irresponsible rhetoric from the American left, simply try to force their way in, how ought our country respond? It seems fairly obvious that the correct response is the one they met: a forceful one. The right response ensures that our border is secure and cannot be infiltrated by anyone who decides to storm it, throw rocks, and run into America. The situation at the border may well be a humanitarian crisis, but abandoning the rule of law cannot solve such a crisis. Read the rest from David Marcus HERE at The Federalist.